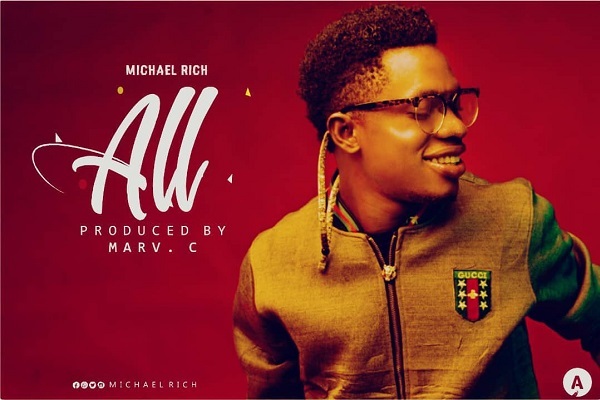 Fast rising gospel singer, Michael Rich releases yet another soul-lifting single titled ‘All‘ produced by Marv C.
The singer who thrilled Africa with his first release ‘Werelo‘ featuring GUC, which is still make waves across the south, is a Port Harcourt based gospel artist who hails from Edo State. Ready to give God your ALL? The hit the play button below, listen, download and share your comments.